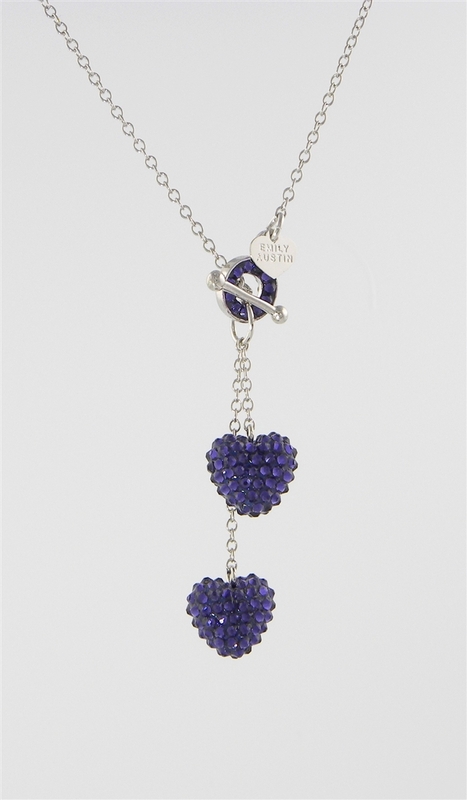 This is a very sweet double heart necklace with a toggle closure. You may choose your favorite color combinations. The toggle has crystals on both sides. If you order hearts in two colors, the crystal toggle with have a different color on each side to match your choices. The length does not include the hearts. Each heart is almost 1/2" high and 1/4" thick.